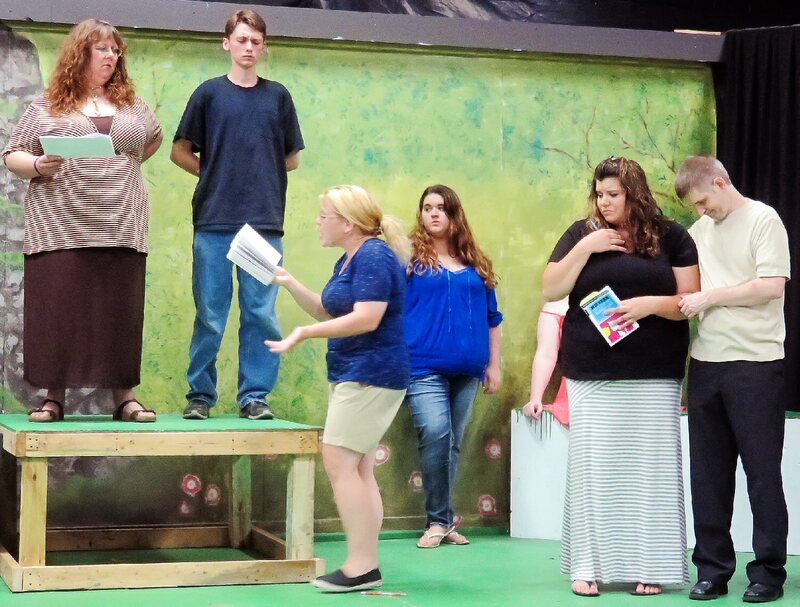 FULTON – Shakespeare returns to Central New York for a summer production of the classic comedy Much Ado About Nothing, directed by Amy C. Price and co-produced by the combined efforts of CNY Arts Center and Fulton Community Theatre. Actors from multiple theatre companies rehearse Romeo and Juliet in CNY Arts Center’s debut Shakespeare production last summer. Auditions for Much Ado About Nothing, the next Shakespeare collaboration, will be held June 24-26 at CNY Arts Center, 11 River Glen Drive on CCC Fulton Campus. Auditions will be held on June 24, 25, 26, from 7 – 9 p.m. Actors should be prepared to recite a Shakespearean monologue of no less than four lines. Auditions, open to the public, will be held at CNY Arts Center, 11 River Glen Drive on the CCC Fulton campus. CNY Arts Center and Fulton Community Theatre have collaborated on space and lighting equipment needs on the Arts Center’s new stage as part of FCT’s 25th anniversary season. The collaboration continues with this production of Shakespeare’s comedy Much Ado About Nothing. The show is scheduled to run August 7 – 16. For more information, visit www.CNYartsCenter.com or call CNY Arts Center at (315) 598-ARTS (2787).